It’s important to remember that no two personal injury lawyers are the same when you are in need of one to represent you and your claim. Since the legal team that you hire will more than likely determine the outcome of your court case, you want to be sure that you have hired the right lawyer for your needs. In this case, extensive experience, and expertise, along with a proven track record are essential the success or failure of your case, both in and out of court. Unlike other personal injury legal firms located in, or serving these cities, the lawyers at BLPC Law will not turn your case over to case managers, paralegals, or secretaries. With over 100 years of combined experience in personal injury law, you can be assured that your claim will be handled by our highly knowledgeable legal support team. 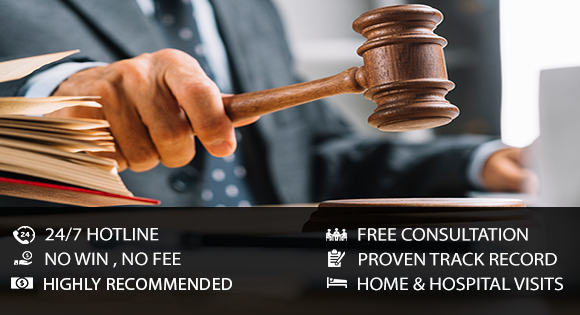 Our lawyers will provide the type of legal representation and personal service you would expect from a firm of our caliber. We understand that most individuals do not know how to navigate the personal injury insurance claims process because of the many complexities involved. Many individuals who have been injured in one of the accidents mentioned above oftentimes make the mistake of dealing directly with their insurer. Ultimately, this can lead to disastrous consequences and a poor outcome for the injured person. As experienced personal injury lawyers, we know that claims adjusters are nothing more than insurance company employees; meaning that they are going to always be concerned about protecting their rights – NOT YOURS! If you have been injured in any of the following ways above, and are overwhelmed with your injuries, we are available on a 24/7 basis, if you need us. For more information regarding our firm and how we can assist you with your personal injury claim in any of the four cities listed above, we encourage you to contact BLPC Law today, and speak with one of our lawyers. Call us to know more about our services. We would be glad to help you at this difficult time.